Before European contact, the Ĩyãħé Nakoda thrived in their traditional homeland. Each succeeding generation was inherently taught all aspects of the language, culture, and heritage of their ancestors. It was a natural part of their civilized upbringing and of their communal way of life. Treaty 7, which was signed in 1877 by the Head Chiefs of the Ĩyãħé Nakoda, included a provision that the federal government would become responsible to educate the children as it deemed advisable. The government initially funded a church-run orphanage and school that was started by the McDougall missionary family on the Morley Reserve. A cluster of structures, known as the Morley Residential School, was later built farther west on the Reserve. The goal of the government was to assimilate the Ĩyãħé Nakoda into the "Canadian way" of civilized living. Each year from September to June, children age five to 16 were forced to live at the school and attend classes. English was the required spoken language and communication in the Ĩyãħé Nakoda language was discouraged. Brothers and sisters were kept separated, and there was an absence of any emotional nurturing. 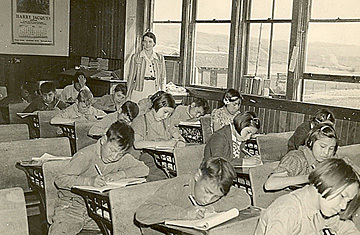 In order to ultimately fit into the evolving contemporary Canadian society, children in the residential school system were taught to live like the wasiju, or "white man". Their Ĩyãħé Nakoda ancestral way of life was regarded as something of which they should be ashamed. In recent years, many stories have been revealed about various severities of abuse inflicted upon generations of students who attended the Morley Residential School. It was closed in 1969. After much pressure from Indigenous groups across the country, heads of churches in Canada formally issued apologies for for being part of a system that had treated Indigenous children so cruelly. On June 11, 2008, Canada's Prime Minister, Stephen Harper, delivered an official apology to residential school students. Despite the government's attempts to assimilate the Ĩyãħé Nakoda and extinguish their heritage, the people withstood this oppression and kept alive the language, culture, and Ĩyãħé Nakoda identity. Rather than assimilation there has been integration with mainstream society, including formal education. Mĩnĩ θnĩ Wa-pta, Kiska Wa-ptadn, and Ga-hna have modern school facilities in each community, providing classes from Kindergarten to Grade 12. 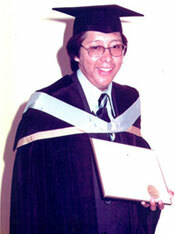 Incorporated in the curricula are culturally relevant teachings and activities of the Ĩyãħé Nakoda. To date, there are more than 20 university graduates with some having attained post-graduate degrees. Many adults have earned college diplomas and certificates. Others are involved in the trades with apprenticeship and journeyman training. Adult learning centres in the communities deliver life skills, work skills, and academic upgrading classes, as well as post-secondary admission preparation.